San Francisco startup streetwear/citywear brand "StreetDragon" launched in late 2018 and is set to create trends in 2019 by observing local inspirations including the techies, music and street fashion. San Francisco, CA, January 14, 2019 --(PR.com)-- Streetwear fashion has continued its steady growth and popularity. 2018 saw sales increase dramatically and 2019 looks to follow that same path. Companies are now integrating streetwear into their lines and allowing it to influence their design process. One new company on this trend is San Francisco-based StreetDragon. As many streetwear companies are set to launch in 2019 what can possibly make a company stand out among them all? 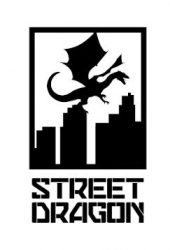 Jay Burkhart, owner of StreetDragon, started the brand in late 2018. He was influenced by the city itself. After living in San Francisco for almost half of his life he wanted to somehow combine the style of the Bay Area with his interest in starting his own brand. His influences are a combination of San Francisco techie-ness, streetwear, and music. He considers the company to be in the "citywear" business with their collection that features tees, hoodies, pins, and patches, and "Dad Hats" which are coming soon. They're creating clothes (and looks) for people that live in their favorite pieces or want to embellish what they already wear. StreetDragon wanted the merch to be affordable and for customers to be able to integrate pieces into the wardrobe they already have. Music also plays a big role in what influences StreetDragon. The musical tastes in their office can range from Linkin Park to Monsta X, from Sofi Tukker to Sia and to Travis Scott depending on the day. They dedicate a large part of their blog to what they are listening to in the office and ask for ideas and links to music they should check out. Music is always spinning or streaming and they rely on it to carry the team through long work days. When the company launched, Jay reached out to local DJs in the Bay Area for inspiration. DJs are on the frontlines and they observe what trends in fashion audience members are creating. They can offer some of the best advice available. The StreetDragon collection is available online at https://StreetDragon.com or they can be found at upcoming fashion-based shows and festivals in the San Francisco Bay Area.